Update 17:08, Friday 02 March: The forecast for tomorrow looks encouraging, and we hope to see you at the Cathedral for our performance. Still some tickets remaining, if you have not yet purchased yours. Wrap up warmly (and consider bringing a cushion, too)! Tickets are now on sale for what promises to be a wonderful evening of French music at Winchester Cathedral. 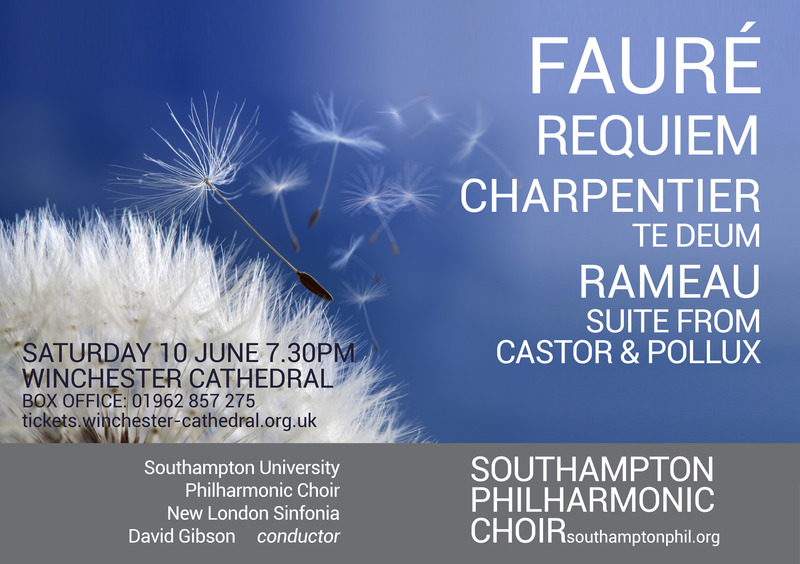 The mainstay of the programme is Gabriel Fauré's Requiem, surely the best-known of his large-scale works. Our first rehearsal for Todd's Mass in Blue, excerpts from Gershwin's Porgy and Bess and Tippett's Five Spirituals from A Child of Our Time is at Turner Sims on Monday 9 January.